NOTE THAT THIS IS NOT FOR EVERYONE! SOME PEOPLE LIKE JUST EXPERIENCING THE NEW EXPANSION, WHICH IS ALSO WHAT I'M GOING TO DO WHEN I REACH LEVEL 90. THIS IS JUST PREPARATION! I'm thinking of returning to WoW in the start of Warlords of Draenor, I've started making my expansiual planning overview. I've been doing these since the prior release of The Burning Crusade and throughout the many expansions. Personally I find these very fun to make and it makes a great overview of what you want to accomplish. 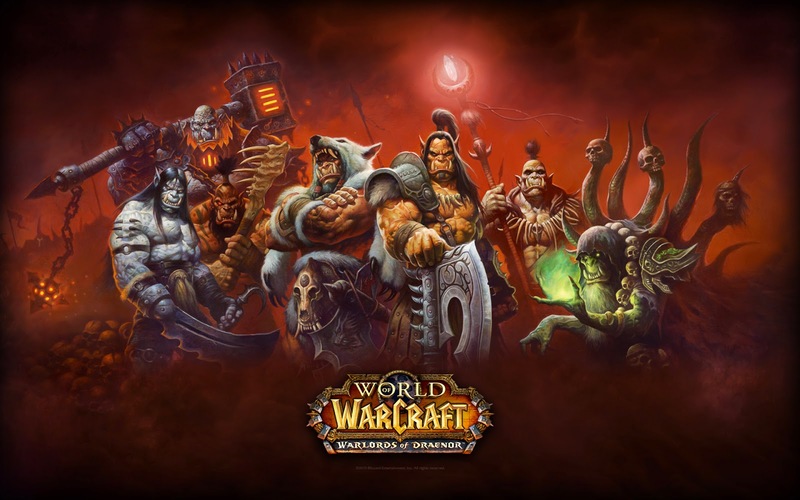 This can be anything from achieving Realm First achievements, Realm First mounts, access to raiding as soon as possible or so many other ambitions and goals, that you may have for yourself or perhaps your friends in the upcoming expansion. Now I want to show you an example of my "alpha overview" sheet, made in Google Drive with a few friends. This alpha overview sheet, contains my friends along with my own goal for the new expansion. We plan of rerolling our roles and level new characters. Nothing about rushing or anything, but start fresh on a new server and just having fun through the process. Now this doesn't mean that just because you want to race your way through the content, either being pvp or pve, that this guide isn't for you. It's all about planning what YOU want to achieve and how you're going to achieve it! Now I've chosen to grade the level of seriousness, by ranking it Tier 1-4, which I will explain a bit further on in the guide. You want to reach heroic content/raiding content as fast as possible. You'll need to do some planning. What spec will you be playing? Is your gear optimal? Do you have the necessary amount of gold to purchase BoE blues/epics, due to the high cost of everything in start of new expansion releases? Do you know what level suggestions there are for the new zones and dungeons? Will you be leveling in dungeons, trying to learn the tactics of the bosses for heroic grinding or by questing? By choosing yourPreparation, you enter the seriousness level of Tier 3. As shown in the sheet example, I've chosen to prioritize my actions in preparation, by ranking it 1-6 (It can be more or less, you decide). I want to start my character, the tauren warrior, with 100k gold start, because I know that I will need to level my professions along with leveling along with the high cost of everything in the new content. So I will need to gather 100k gold on a new server. I also need all heirlooms, and right now I am missing the heirloom shield and the ring. My fourth priority in my preparation will be having the right addons. I know from experience, that addons I've used to rely on, such as Zygor's leveling addon will be outdated at the release of the new expansion. I therefore need to select what addons I will need, such as Recount, newest version of DBM, Bagnon and other essential addons. Now most addon developers are incredibly fast, when it comes to updating their addons, especially at new expansion releases, so it should only be atleast a few hours until the addons are usable. My last priority will be garrisons. I don't know much about them but I've heard that it would be stupid not to invest time and perhaps gold in them. So I'll need to read up on how it all works. Another example of planning, if you are into earning quite some amounts of gold in the start of the expansion. If you have played in the time between the end of an old expansion and the start of a new, you will have noticed the insane prices of anything as small as 3 pieces of some cloth, for the staggering amount of x amounts of gold. Now you can actually sell almost anything you gather in your bags, on the auction house, and earn quite an amount of gold for yourself. Or you can plan it a bit Which leads me to Tier 4. Tier 4, or as I like to call it: The "Research/Testing" tier. In Tier 4 you are (in perspective to my other friends and prior in-game friends) above the average level of seriousness, when it comes to planning your future endeavours in the new and fantastic content. In describing Tier 4, I would like to use the forementioned example of earning gold but on a bigger and more planned level. In Tier 4 you want to actually be prepared. You know what your goal is and you sort of know, how to reach it. What you need to do is research for information. Now there will be a different ways of gathering this information, and it all starts by finding your resources. Now the first thing I will recommend, is FORUMS. I will link to quite a few forums down below for examples, all specified to what you might want to achieve. You now got to the resources and now you need to learn how to get to your goal. As an example of reaching your goal, I will be taking an example in acquiring great amounts of gold. For earning a lot of gold in the start of Warlords of Draenor, any other future expansions or even patches, you'll need to know of supply and demand. If you read up on what changes there will be in the new expansion, you'll know what will happend to professions, class nerfs/buffs, achievements, mounts and other things. Take for an example; if you know that there will be this new mount that can only be made by engineers. You've seen so many posts about it on either Joystiq or Mmo-champion's forums and you know so many people want it. Luckily you're an engineer! Now here you got the demand, meaning the gold that people have, which is the gold you want! Now what you got to do is, have the supplies. ”But how do I get the supplies HunterHero? The expansion hasn’t even come out yet!”. Well that’s true my friend, but if you research on how to get the supplies then you’re set! Now start finding out where to get the supplies which includes, where the materials can be gathered/farmed and possibly a backup spot, due to other people might be planning the same spot as well! So now you got the required information for making this item, that people will be buying like cold lemonade on a hot summer day! But what if you’re a gatherer? Well then all you got to do is to find resources of where the herbs and deposits may be! Now it is not always obvious to where the most in-game resources may be. Sometimes it may be in a tiny cave, like in the release of Mists of Pandaria in Kun-Lai where you could farm so many ores and herbs that your bags exploded. So I will advice looking out for beta forum posts along with videos on youtube. These resources can give you some insight of where the in-game resources may be at the start of release. Now Tier 4 planning is mostly used in order to get Realm First achievements or vanity items. People will be looking on forums, youtube and multiple websites in order to find information on how to: reach 90 fastest, learn the tactics of dungeon bosses by testing beta or looking at videos or maybe finding the spot of the perhaps new TLPD. By researching you will know a few key factors such as, profession stat buffs will be removed, so people will be changing professions (raid related). Races have gotten some new/changed traits and a lot of people will be changing races (relating to optimization of your dps in raids/heroic dungeons). Now as I’ve mentioned earlier in this thread, my sheet overview is only in it’s alpha state. This means that the look of it along with the information it will contain, is only at it’s first stage. When more information will be released, the sheet will be upgraded. My priorities might also change along the way, with the new releases of etc. new race skins (I might change my tauren warrior to another race if it’s more cool or better stats) or if some new dungeon content or profession content, will be interesting me more. If you have any questions about all of this, or just some of it, feel free to ask. I would love to hear feedback from people trying making a plan of your own, or even if you feel like I could have done something better. If you have any additions to some of my material or to the resource list, then please feel free to comment and if you want, then I’ll add it to the thread or people can find it from your own comment if you desire the experience points. Tier 2: Make a check list of what you got, and what you want to do! Tier 4: Research and/or test! Final Step: Have fun doing what you've planned!